The return of LeBron James to the Cavaliers roster is not the only comeback that has Ohio residents buzzing this decade. In Downtown Cleveland, a major revival is in the works as the Flats is making a celebrated return to prominence. The Flats is an emerging mixed-use area along the banks of the Cuyahoga River. Injecting vibrancy and charm to Cleveland’s commercial and recreational center, there’s no question that it’s one of the best parts of the city today. And knowing more about the area’s history will only make you appreciate it even more. Toward the end of the 1700s, a survey party from Connecticut led by city founder General Moses Cleaveland traveled along the southern shore of Lake Erie and eventually found the mouth of the Cuyahoga. The party brought the first settlers of what would become the City of Cleveland. Shipping routes later developed along the Ohio and Erie canals, establishing the Flats as a prominent shipping center through the early decades of the 1800s. The identity of the Flats changed in 1892 when the need for electricity to run the city’s new streetcars resulted in the creation of a power station on the west bank of the Cuyahoga. A competing powerhouse rose on the east bank three years later. These developments ushered in the industrial phase of the Flats’ long history, where steel mills and oil companies added to the area’s most prominent occupants. The mid-1980s welcomed another incarnation of the Flats, this time as an entertainment district. During this time, contemporary local icons began popping up drawing large weekend crowds to the area. Former power stations were transformed into bars, restaurants, and a variety of entertainment venues. The Flats reached its peak as an entertainment mecca in the 1990s, earning a strong reputation as a premier destination in the Midwest region. Following a period that featured less than favorable conditions in the early 2000s, the Flats has been reborn once more. Now, after a million-dollar makeover, it is a vibrant waterfront neighborhood that boasts upscale restaurants, bars, a charming boardwalk, and an array of event venues. The area is now also more than just a local and regional attraction. As a mixed-use development, it’s a sought-after vacation destination for tourists from around the world. Apartments are available for rent for around $2,000. The opening of this learning and exhibition facility in January 2012 anchored the rebirth of The Flats, continuing the legacy of its original 1954 iteration to promote the appreciation and conservation of various aquatic species. Serving patrons for over 100 years, this traditional Irish pub is definitely worth a visit if you want to enjoy the present at the Flats while paying homage to its long and storied history. 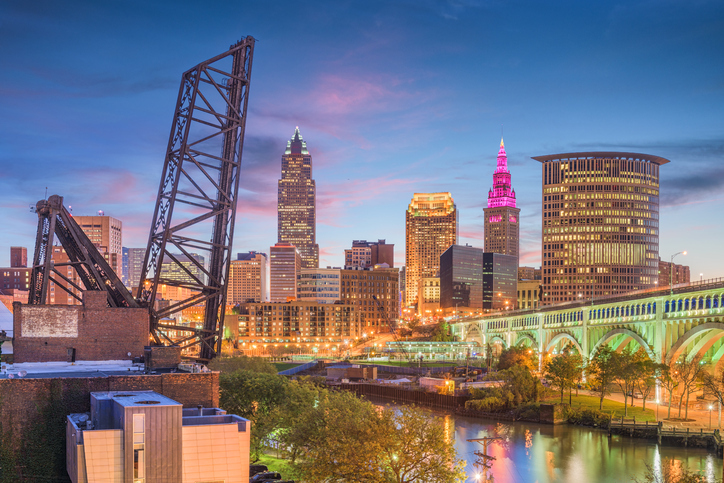 This multi-attraction recreational center showcases the best of the Cuyahoga riverfront. Here you can see the Flats’ awesome jackknife bridges, hop aboard a dinner cruise ship, watch special shows and events, and enjoy a variety of water sports. Want to live in a neighborhood that keeps you close to all of the excitement that the Flats has to offer? I and the rest of the team look forward to helping you find Cleveland, OHhomes for sale in the Flats and in the Ohio City area. Call us at (440) 823 2448 today for real estate insights and advice that only a top Cleveland realtor can provide. Or email me at michellemcquade(at)howardhanna(dotted)com anytime.